The recent agreement by Timor-Leste’s government to purchase US energy group ConocoPhillips’ 30% stake in the Greater Sunrise syndicate, which has rights to exploit the substantial undersea gas and oil reserves worth upwards of US $50 billion, is in many ways a logical step. The $384 million deal follows the redrawing of the treaty that governs the maritime boundary between the two nations. Timor-Leste’s government has pitched the purchase, with what seems to be broad popular support, as finally getting a “seat at the table” in developing a resource that is vital to the young country’s economic future. “ConocoPhillips has always refused to bring the pipeline to East Timor,” Xanana Gusmao, the country’s elder statesman and revolutionary hero, who has negotiated both the treaty with Australia and ConocoPhillips deal, said in the days after the purchase was formally announced. They realised that our position is to bring a pipeline to East Timor, but [ConocoPhillips] said they don’t want to bring it to East Timor and they only want to pipe it to Darwin. They said if East Timor wants to bring the pipeline to East Timor means you please buy our share. So we, East Timor, have bought the [ConocoPhillips’] share so there is no more discussion about whether to bring the pipeline to any where else. The stake and proposed pipeline (not yet agreed by the other consortium members) is the first step. The intended destination is to spend at least US $5 billion creating an onshore energy processing industry, known as the Tasi Mane project. This is the centrepiece of Timor-Leste’s “Strategic Development Plan” formulated in 2011 by Gusmao. Having served as both president (2002–2007) and prime minister (2007–2015), Gusmao now heads the parliament’s biggest party the National Congress for Timorese Reconciliation (CNRT) and it is clear he wants more than just a seat at the table. His intention is to make good on the Tasi Mane Project. 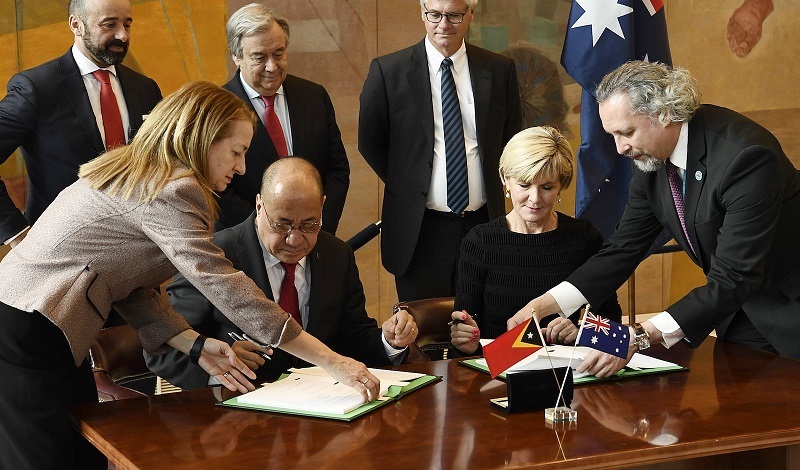 Under the revised treaty, and yet to be officially ratified by the Australian parliament, Timor-Leste will get 70­-80% of the royalties from a resource estimated to hold more than US $50 billion in energy reserves. This follows a revision of the 50/50 deal under the previous 2006 treaty, which was challenged in the Permanent Court of Arbitration after credible allegations that Australian espionage efforts had cruelled that agreement. But despite the best efforts in three-way negotiations between the two countries along with the Greater Sunrise consortium of four energy companies, led by Australian listed Woodside Ltd, no agreement on how the resource would be exploited could be reached. The options for the pipeline and their merits and ramifications have been laid out and debated at length for over a decade. The preferred option of the Sunrise consortium has always been to pipe the gas (the majority of the resource) to Darwin for processing into liquid natural gas at an existing plant – owned by ConocoPhillips. 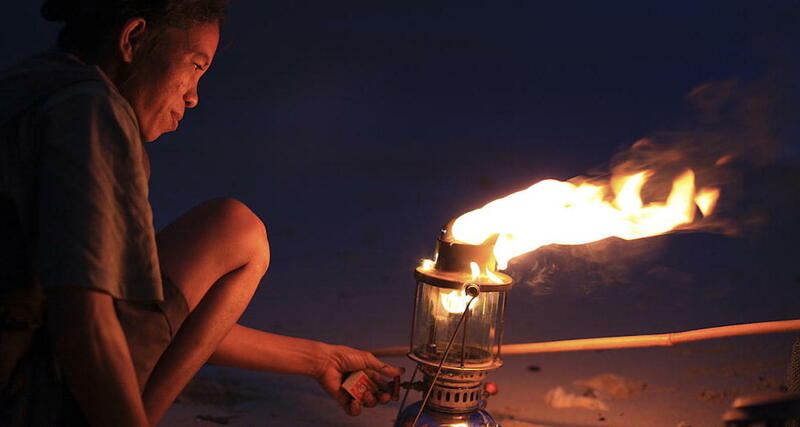 This approach has been supported by Australia, energy industry experts, and influential Timor-Leste NGO La’o Hatumak as the only financially viable option. The alternative Tasi Mane Project involves building a pipeline over a deep-sea trench to link with a planned multi-billion dollar string of facilities – the Suai Supply Base (where the airport has already been upgraded and a port is being planned), the Betano Petrochemical Refinery, and the Beacu LNG Plant – along Timor-Leste’s sparsely populated and underdeveloped south coast. All three hubs will have other facilities and “new” towns built for workers. Local politics is crucial. Politically, Timor-Leste’s landscape has changed in the past 18 months, with the emergence of the People’s Liberation Party (PLP) and KHUNTO. These two parties combined with the CNRT after the July 2017 election to block the ability of Fretilin and its minor party ally the Democratic Party’s to govern. PLP, KHUNTO, and CNRT later combined to form the Alliance for Progress and Change (AMP) that won the subsequent poll this year in May with a clear majority. The PLP is headed by Prime Minister Taur Matan Ruak, who was also formerly the non-politically aligned president of the country from 2012–2017. Ruak had campaigned on a platform of grass roots economic development, rather than the big bang approach of the Strategic Development Plan. Yet now that he is PM, Ruak has back-peddled and fallen in line with the CNRT. While there is certainly debate inside Fretilin about the broader plan, publicly supporting an alternative is politically unpalatable as it invites accusations of being unpatriotic. In such an environment, its unsurprising that last month the opposition signalled it was backing the Greater Sunrise stake and is open to agreeing to billions of dollars in further spending, despite retaining some wariness. We think buying the share of ConocoPhillips is in the national interest, we are considering supporting it, but we want the government to present to us the result of the feasibility study. If we buy it what are the benefits, we want to know this too. Quite apart from the legitimate questions about the economic soundness of the plan and the relatively untested claims of the longer-term benefits – particularly in terms of employment and enhancing local skills – there are concerns over the cost (and benefits) of hard infrastructure investments and the lack of soft infrastructure for environmental and health and safety regulation. One particularly fraught element involves land ownership. Apart from key pockets in major towns, land in East Timor is subject to traditional ownership that has been largely suspended by the 2017 Land Law, which puts the state in charge of all land. The problem was underscored in 2014 when the government set aside US $7.5 million to compensation traditional landholders in the Suai district but caused disquiet in local communities. More problems are already forecast. At the Fretilin congress in September, the party’s leader Mari Alkatari appealed to local residents in Beacu, saying that they should co-operate with plans to establish the LNG plant there. Critically, little has so far been done on environmental assessments. Australian engineering consultancy and mining service provider Worley Parsons was contracted in 2012 to do an environmental impact study on the three hubs of Suai, Beacu, and Betano, but concluded that it could only provide a preliminary draft due to the lack of concrete information available from the Timor-Leste government. Fresh concerns about the environment emerged in August this year when the government moved environmental approvals for the petroleum and mining sector out of the Ministry for Commerce Trade and Environment, which contains the National Directorate of Environment. The approvals now fall under the Ministry for Petroleum and Mining. Perhaps there is a political calculus here, as the south coast votes heavily in favour of the current opposition. But Gusmao and the government should be mindful to govern for all Timorese and not the select few.